Visit Bali Ecotour Travel Center to book a tour, hotel or flight to Bali. Go to Bali Business and start an export business. Check out Surf's Up. Get the latest Bali News. Explore Balinese culture online: the Bali Handbook, Bali Magazine, Multimedia gallery, or Bali Calender. 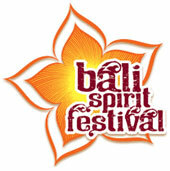 Join us for the 5th Annual BaliSpirit Festival! We are pleased to offer online travel services. Book airline flights, hotels and special tours at wholesale prices. A complete travel guide to Balinese ceremonies and holidays. Back to the good old days. Bicycle tours, back packing, motorcycle adventures, surfer specials... All just for $20 a day. Stay in traditional homestays, and find the best places for "Nasi campur".